Today we’re starting down a new road with Milenomics. You’ll probably notice the title image has changed–not to worry, tomorrow it will be back to normal. I’m introducing Milenomics: Redux as a way to revisit posts that I think need to be revisited, and update posts that need to be updated. From time to time you’ll see these Redux posts here. We’ll take what we’ve learned, and expand on them, and in doing so we’ll increase the wealth of information here on Milenomics. A T-rate places a value on your time. Simply put, your T-Rate is the value you give 1 hour of your time. This is your personal assessment of what your time is worth. A T-rate should be expressed in $/hr, an example would be my T-rate, of $25/hr. Placing a value on your time is important with respect to Milenomics. We use this T-rate in our cost tracking, and even in booking flights. We’re producers of miles. So the constraints on any kind of production are in effect for us as well. A T-Rate reminds us of this. Using our T-rate when we travel on MMRs is imporant. The reason is it gives us a Total cost for our miles. Simplified cost analysis, where we include just the cost of the purchase itself (say $3.95) does not get at the total Cost incurred when we buy our miles. In the short run this isn’t a huge issue–and for some of you you won’t care. Certainly, if your T-rate is low enough (or $0 because you enjoy the thrill of the hunt), then you probably don’t care to track your costs. But for someone like me, who’s time is precious, and limited, it is important for me to know I’ve put a certain amount of that time into my Miles. If you haven’t read it yet, “Removing Inefficiencies in your Churn and MMR” covers why in the long term this thinking breaks down. Your Fixed costs are, just that, fixed–but as you continue to look for ways to earn more miles, your Variable costs continue to go up. The easiest, and cheapest miles are earned with little above the fixed costs. Long term, knowing your T-rate and keeping track of it will help you decide when to stop, or when to go after more miles. When it comes time to redeem our hard bought miles we’re realizing the investment of time, travel and money we put into those miles. Because of this we can book at our exact cost, and still come out ahead. For an example of this see my bookings here, and here. My long terms costs, due to my T-Rate, hover around 1.3 CPM. When I book at 1.3 CPM I’m not “breaking even,” but rather, I’m pulling out my $25/hr investment of my time. My T-Rate has helped me put a floor on my redemptions, and also allows me to not fall prey to the range-anxeity some of us feel. And, when I can redeem above my T-Rate, at say 1.8 or so, I’m actually pulling more value out of my time. My investment at 1.3 cents has paid off with an additional .5cent dividend per mile. Another area where a T-rate is helpful is in decided which flights to book. I outline an example of this in the post, “Trading time for Miles, When Does it Make Sense?” Often times we’re conflicted on what is the “best” flight option for us. Instead of having to rely on our gut, a T-rate lets us crunch hard numbers, and come up with the best balance of points, time, and money. Even for paid flights a T-rate can be helpful. In the case of decided between two flights, one with a 4 hour layover, and the other with a 1 hour layover, a T-Rate helps us put a value on the 3 hour difference. This is actually a term which Becky from www.thegirlandglobe.com came up with in the comments of the above post on trading time for miles. The idea of a Variable T-Rate is a great example of why Milenomics: Redux needed to happen. 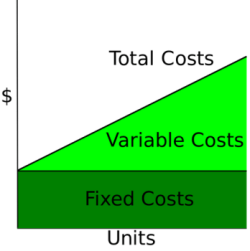 While I use a fixed $25 T-rate, some of you may use a Variable t-rate. For example, you might love plane-spotting, or visiting airports, as I know some of you do. If you love airports you’ll probably have a much lower T-Rate there, than you would say, waiting on line at Wal-Mart, or on hold with InComm. The Danger of a Variable T-Rate is that you “cherry pick” the times you include a realistic rate, and the times you discredit your rate down to near $0. If you don’t hold a steady rate for each circumstance you’re really unable to gain anything from your T-rate. So if you do decide to have a variable T-Rate, ensure that you outline that rate for different instances and hold to that level. My absolute favorite Milenomics term is the Boss Coefficient. To describe it I’ll ask you to imagine going to lunch with your boss. While you might not mind waiting 15 minutes for a table to be ready, your boss might. In fact your boss might even ask why you didn’t make a reservation to avoid this 15 minute wait. You’ve just experienced the Boss Coefficient. Now we’re not going to be tasked with taking our Boss to lunch very often. But sometimes we will travel with an older person. Or we’ll fly with someone who’s terrified of air travel. Whoever has the more restrictive T-Rate–that rate should be used for all calculations whenever you include that person in your travel. The boss coefficient brings your T-Rate up to the value of the highest T-Rate in your travel group. A T-rate is important because it helps us find balance in our lives, and in our mile collecting and spending. Without a T-rate we run the very real risk of trying to make too much happen, all at once. We also run the risk of putting too much into our miles, and not getting that value back when we redeem. If you’ve been on the fence about coming up with a T-rate, today I’ll challenge you again to start thinking of your time as having a value. And, if you took up the idea when I first posted about it, today is a good time to reevaluate your T-rate. Times change, and our rate should as well. I’m even taking today to consider and reevaluate my own T-rate. With the addition of the blog my time is even more limited than it was before–and as such I’m debating bumping up my T-rate to $35. Which Game Do You Play? Milenomics, or The Airline’s Game? I have recently been trying to get my husband’s relatively new Alaska Airlines B of A Business Visa into an autopay plan, such that the balance is paid in full every month. I have not enjoyed dealing with the B of A online banking site – of all the bank websites I use, it seems the least intuitive. B of A also demands, when you want to pay your CC bill with a checking account from another bank, that they verify the account by doing two small withdrawals, which you need to input into a form on the B of A site. So you need to track that too. You also can’t set up autopay until a bill is issued – or so they told me. Given the mediocre help I get when I call, that may or may not be true! Whenever I call them, my husband needs to get on the phone to give me permission to talk to them, so I can only work on that website when he is available. I have so far called them three separate times and it is still not accomplished. The advice I got from a rep who claimed to have set it up such that we would not need to do the verification a second time – we’d done it for the personal account and would be using the same account to pay the business bills – turned out to be completely wrong. Ditto for a written reply I got using private messenging. I finally got a good rep today, who explained what needed to be done and then facilitated it from her end, and I think I may finally actually get it done. But I’ll need to initiate the account verification on the B of A site, watch my checking account for the small withdrawals, and then go back to B of A to hopefully complete the process. With Chase, by comparison, it is a breeze to set up autopay. I have done it for both my husband’s personal and business accounts without needing to call Chase even once, with just a few keystrokes. Now when I decided to get him a business credit card from B of A, I had no way of knowing how long this would take or that the B of A banking site was so hard to use. I may have estimated/calculated my t-rate for doing the application, and meeting the spend, but there is really no way to predict this kind of thing – at least the first time through. I have thought about this each time I see a blog about the new, increased Alaska CC offer – do these folks who are so enthusiastically applying for the card realize that B of A is a pain to deal with online? Maybe some do, but most probably do not. Perhaps your system needs to build in some time for unexpected tasks/events. We know that it may be hard to book an award, and that a financial review will be stressful and take time, but perhaps we also need to build into the t-rate for applying for cards the time it will take add that card to whatever system you use to make sure bills are paid – and that not all banks are easy to deal with! As for me, my unhappiness with the B of A site is so high that I will definitely calculate this into my analysis the next time an attractive card offer comes along from B of A. It will have to be very, very good for me to consider adding any more B of A cards which will require me to spend even more time their site! Great Feedback about BofA. I too really dislike the BofA site. It also annoys me that they don’t seem to update the payment info quickly–meaning double payments can happen. I don’t usually use banks sites to pay off their cards exactly because of things like this. I find it much easier and with less headaches to push the payment to all my CCs from one source than to pull it from my bank. However that requires monthly action (and time) on my part, initiating the bill pay and such. Reviewing bills is something I do anyway to ensure everything matches up. Just yesterday I found a double charge from the gas station–$40. I recommend against auto-pay for that reason alone. To answer your larger question: I don’t think when CC links are pushed the overall “work-load” is considered. Your comment alone is important for people considering BofA cards to keep in mind. Another issue I absolutely hate: That Amex MR post the month after your statement, again something not really discussed much. That’s a subject for another post. BofA has an annoying site, but I just pay from my own checking account’s bill pay function (which supports eBills) or from Bluebird. No problems so far! Because when we travel we may be away for a month or more, often to places with iffy wifi, I am happier setting up the autopay/recurring payments via the CC’s website. It started when we were on sabbatical for four months and I did not want to have to worry about our bills getting paid. I do still review every bill but generally figure the work upfront to set it up will save time and aggravation in the following months and/or years. But the contrast between B of A and the others is just so great it makes me want to boycott B of A from now on!